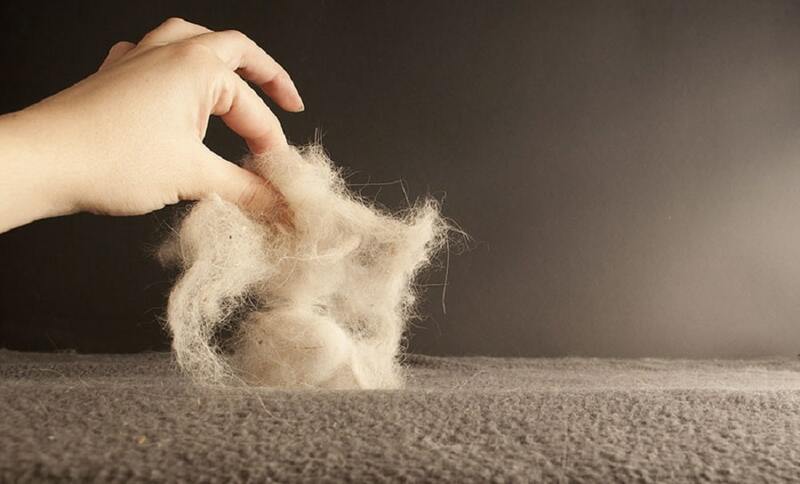 Dogs are often allowed to sleep on our beds which can lead to them leaving a lot of their hair behind. If your dogs sleep on your bed too, then you know how hard it is to remove their hair from your blankets. Some materials are easy to clean while other materials require great effort to remove the hair, and although it may not affect you a lot, dog hair can be a serious problem if you have kids who are allergic to it. Read our guide and find out what are the easiest ways to remove dog hair from your blankets. Using rollers with disposable adhesive strips can help you remove lint and dust from your clothes, but it can also help you remove dog hair from your blankets. They are really easy to use. All you need to do is to place the blankets on a flat surface and roll the adhesive rollers over the blankets until the adhesive stripe is covered in hair. Remove this strip to uncover a fresh adhesive section and continue rolling until all the hair is gone. If you don’t have these rollers and you don’t want to buy them, you can use a piece of adhesive tape as an alternative and tap it all over the blankets to grab and remove dog hair. Washing is another way to remove dog hair from your blankets. Wash the blankets as you always wash them and then dry them in a dryer. To make sure that all the hair is gone from your washing machine and that it won’t stick to the other items you wash next, you can run an extra rinse cycle. Put the blankets in a dryer with dryer sheets and remove dog hair via the lint trap. Use multiple drying and fluff cycles as in this way the hair will be repeatedly captured in the lint trap. Clean the lint trap between each cycle to make space for more hair. Besides washing and rollers, you can also use a vacuum cleaner. Vacuum your blankets and pick up dog hair by using a special upholstery vacuum cleaner attachment. A pair of rubber gloves can also help you remove dog hair from your blankets. Lay the blanket on the table, put on the gloves and rub the blankets. Rubber gloves will gather the hair to one place so you can pick it up easier. You can also dip the gloves into water. The water will make the hair stick to the gloves and allow you to clean the spots with too much hair much better. You can also use gloves specially designed for collecting pet hair. These gloves have rubber pins that make it easy to remove dog from blankets. The pins will gather the hair and all you need to do is to take off the hair from them once you finish rubbing the blankets or when there is too much hair between pins. Like with the ordinary rubber gloves, you can dip these into water for better results too. You may not believe, but rubber soles of your shoes can pick up dog hair effectively too. Make sure to clean the shoes well before using them on your blankets if they are not new. The easiest way is to wear the shoes and then drag your feet all over the blankets. 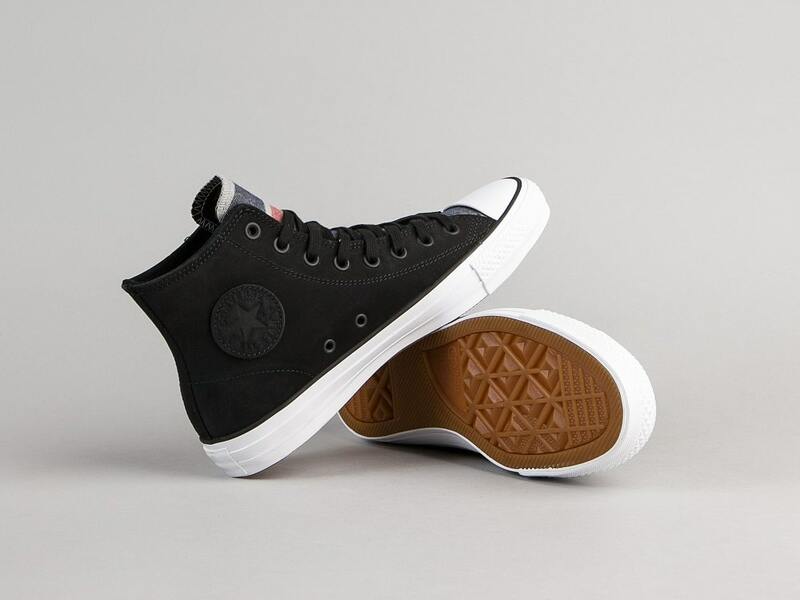 The rubber soles will work the same like rubber gloves and gather the hair in bunches that you can easily pick up once you are done with cleaning. You can also put the shoes on your hands and then rub the blankets thoroughly. If there are too many spots with stubborn dog hair, then rubber broom may be the best solution. Rub the blankets and all the hair will stick to the rubber bristles. This may seem like a crazy thing to do, but it is really effective in removing dog hair from all surfaces, especially blankets. Inflate the balloons and rub them against the blankets. The static electricity will pick up the hair and make it stick to the balloons. 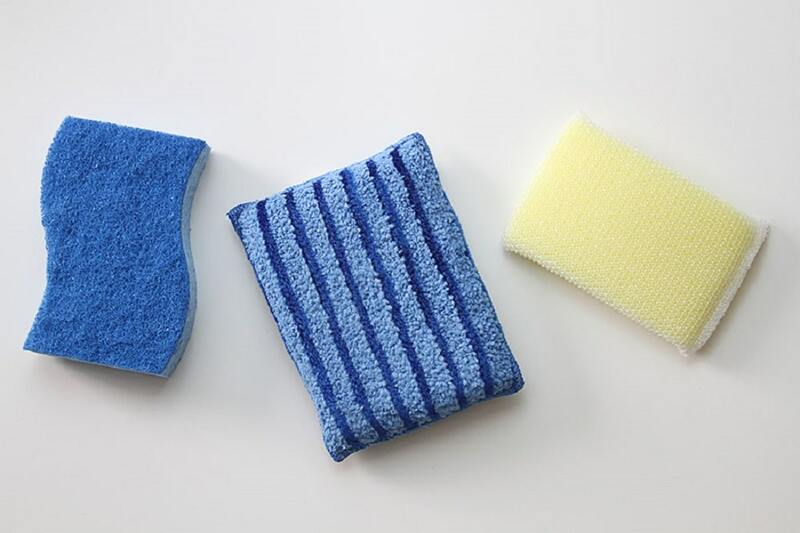 Use a clean kitchen sponge, either dry or damp, and rub your blankets slowly. This way, all the hair will stick to the sponge and all you will need to do is to throw the sponge once you are done with cleaning. You can prevent dog hair from getting stuck into your blankets by covering them with special blankets for dogs. All the hair that falls of your dogs will fall on these blankets and stay there as it can’t reach your blankets.